Hi everyone! 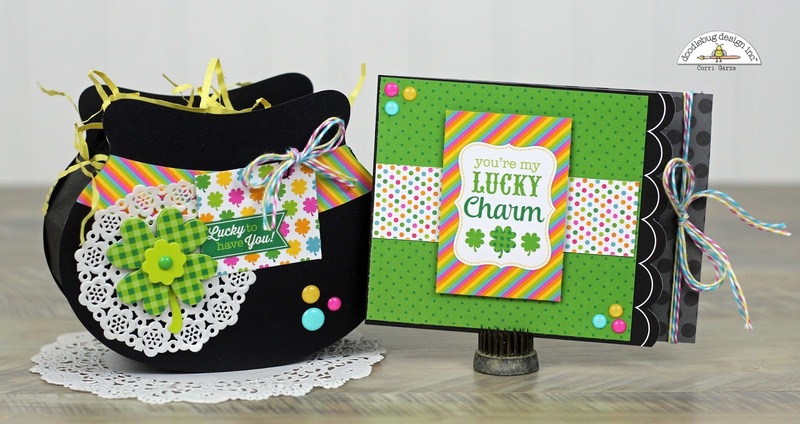 Corri here today sharing a cute gift set made with the Pot o' Gold Collection. I used my Silhouette Cameo to cute this cute pot of gold gift bag. 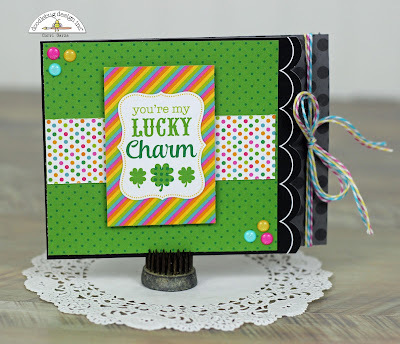 I added a doily and a Good Luck Doodle Pop, some Glitter Sprinkles and some Doodle Twine. 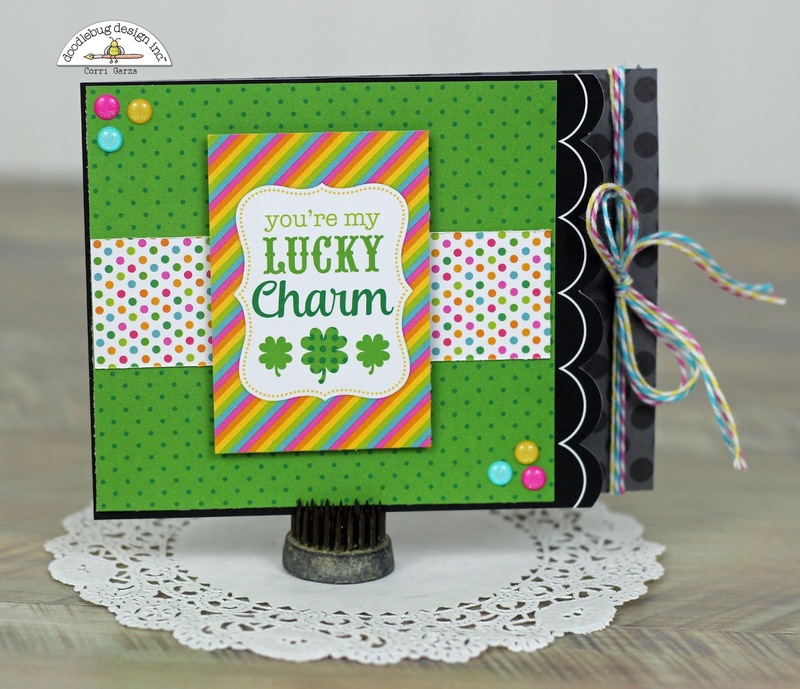 For my matching card, I used an A2 Polka Dot card base and add some paper and elements from the 6" x 6" Pot o' Gold paper pack. 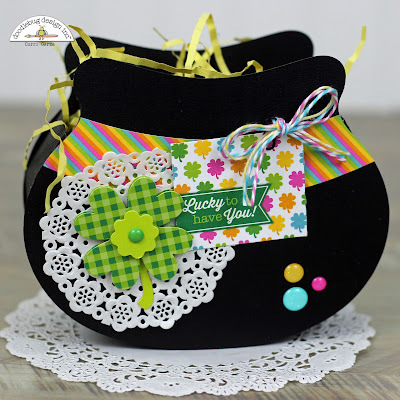 I used three colors of Doodle Twine to create my rainbow themed bow. Corri this is such a cute gift set!! I love that pot!